Microsoft-ify your Android phone in just a few minutes. Maybe you're not keen on Google's selection of apps and default launcher, or maybe you really, really miss Windows Phone - but whatever the reason, it's now very simple to get a host of Microsoft replacements for the default Google apps set up on your Android phone. That's partly down to the open nature of Android and all the customisations you can apply to it, and partly down to Microsoft's efforts to build a suite of top-notch mobile apps for both Android and iOS. 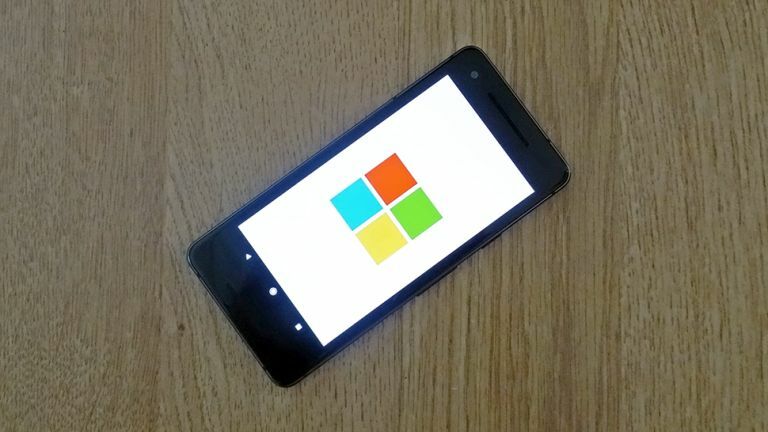 Here's how to turn your Android phone into a Microsoft phone. Read more: Microsoft Surface Go review: a new iPad Pro and Galaxy Tab S4 killer? Microsoft has a very capable digital assistant of its own in the form of Cortana, and Cortana for Android can do just about everything Google Assistant can do - set reminders, check your plans, search the web, and so on. Cortana can even replace Google Assistant as the default app that appears when you long press on the Home button in Android: head to Settings, then choose Apps & notifications, Advanced, Default apps, Assist & voice input, and then tap the Assist app to pick Cortana from the list (you can switch back whenever you like). If you use Cortana on other devices, like a Windows 10 laptop, you can sync your activity and searches across - head to Settings from the app menu to set up this and other options. Many iterations of Android now come with a persistent Google search bar that you can't actually get rid of (tap and hold on it to see if a Remove option appears). What you can do though is put a Bing search bar alongside it. Download Bing Search for Android, then long press on a blank area of the home screen and choose Widgets. You'll then see a Bing search bar which you can tap and hold to put into position (a couple of Cortana widgets can be added from the same screen). Say goodbye to Google's popular email service and say hello to Outlook instead: Outlook for Android is a polished and capable alternative, and of course syncs nicely on every platform where you're signed in with your Microsoft account. You can even keep on checking your Gmail messages from inside Outlook, if you want to: tap the cog icon in the top right corner, choose Add Account and Add an email account, then enter your Gmail address and follow the instructions on screen. OneDrive has grown to be a perfectly decent way of getting your photos and other files synced across various devices, and there's a OneDrive for Android app you can take advantage of - just open it up and sign in using your Microsoft account credentials. After you've installed OneDrive, it'll appear in the standard Android Share menu, making it easy to add new files when you need to. The app can even automatically back up the photos and videos you take with your Android phone, if you want it to. For working on documents, spreadsheets and presentations on the go, Google's default apps can be very handy. However, Microsoft has a suite of tools that are just as capable, and they're free to use on phones - you don't have to have signed up for an Office 365 subscription to be able to use them. Word for Android, Excel for Android and PowerPoint for Android are all simple to install and use, and help you stay productive while you're away from your laptop. Of course they're not quite as capable as the full desktop applications, but you can do more than you might expect on your smartphone. If you're a loyal user of Microsoft Edge on your Windows 10 machine then you can now get a similar experience on your Android device too, thanks to Microsoft Edge for Android - though at the time of writing it's only in an early, beta release stage. You get all the usual benefits of running the same browser on a computer and a mobile device, like the option to beam webpages between devices, and having your bookmarks and browsing history available no matter where you are. Look for more features and polish to be added to Edge for Android over the coming months. If you really want to go to (Microsoft) town, you can also get the Microsoft Launcher and Next Lock Screen apps from Microsoft. They make it even easier to access some of the apps and features we've mentioned above, and will complete reskin your phone (including the home screens and app drawer) with a Microsoft feel. The Microsoft Launcher will replace the Google search bar with a Bing one, and bring your Outlook emails and calendar details to the fore. What's more, you can opt to have your device wallpaper cycle through a selection of photos showcased on the Bing website. You also get plenty of control over the look and feel of the home screens. The Next Lock Screen app is similar in that it brings Microsoft apps to the fore, though you can really use it with any apps you like - you can preview upcoming calendar entries, weather forecasts and much more on the lock screen. The groundwork is being laid for the forthcoming folding Surface smartphone, codenamed "Andromeda"